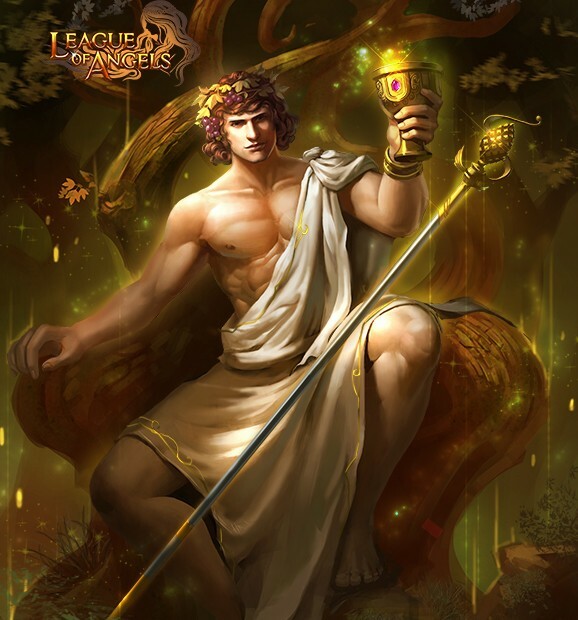 Male Angel Bacchus is a master of wine. He lives an uninhibited life and invents brewing craft during his travel. He realizes that wine can make people happy and carefree and would like to share this precious invention with people he has met. Now Angelic Land is being invaded by dark force, which has aroused much fear in people. Witnessing people’s fear and sorrow, Bacchus hasn’t stood by in silence. He calls all warriors to bring peace and joy back to this land! Warriors, come and join this fight for light! Deals Magic Damage (200% ATK + 1,300) to all enemies and decreases targets' Hit and ATK by 10% with a 100% chance of hitting, lasts 2 turns.